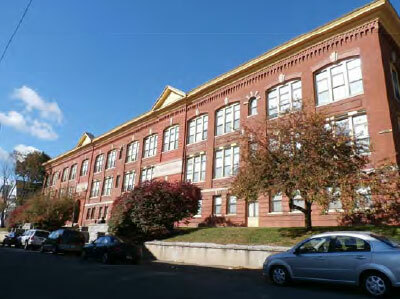 Boston, MA (August 24, 2016) WinnDevelopment, the development arm of award-winning multifamily property developer and manager WinnCompanies, has acquired and will begin construction on the occupied rehabilitation of the historic Schoolhouse Apartments in Waterbury, Connecticut. The restoration is expected to be completed by the fall of 2017. Our investment in Schoolhouse Apartments allows us to continue to preserve both the affordability of 213 rental units and the historic integrity of three storied relics of Waterbury's past, said Larry Curtis, president and managing partner of WinnDevelopment. We are going to work hard to orchestrate these improvements without causing significant disruption to residents. The scattered site community, located in Waterbury's Hillside Historic District, consists of three freestanding buildings originally developed at the turn of the 20th century as public schools. In 1982, the former Bishop, Webster and Wilby schools were repurposed into a total of 213 affordable rental housing units for elderly and disabled residents. The scope of the $16.4 million rehab project includes a restoration of masonry exteriors, the replacement of exterior lighting, and the repair and replacement of roofs, siding and wood trim; and, new signage, security cameras, and improved handicap accessibility. Apartments will undergo mechanical system upgrades and the installation of new cabinetry, appliances, and fixtures in kitchens and bathrooms. 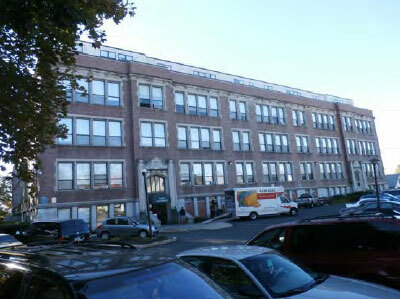 WinnResidential will have property management responsibilities for Schoolhouse Apartments. The community will enjoy enhanced service offerings once the rehabilitation is completed. WinnResidential will work with local service providers to provide supportive services to residents, including assistance with life skills, lease compliance and home management. 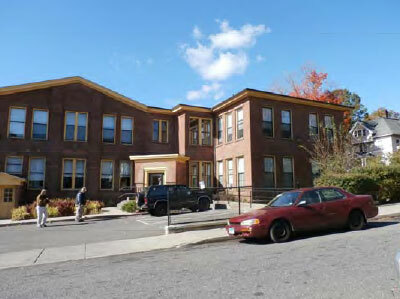 The project will utilize an allocation of Low Income Housing Tax Credits from Connecticut Housing Finance Authority (CHFA), as well as financing from the Connecticut Department of Housing (DOH) and federal subsidies from the U.S. Department of Housing and Urban Development (HUD). Boston Financial Investment Management is the Project's equity investor. The design team includes Keith Construction as general contractor and The Architectural Team as project architect. Schoolhouse Apartments is one of four WinnResidential communities in Waterbury. The company manages more than 3,600 apartments at 36 properties in Connecticut located in Bethel, Bridgeport, Bristol, Broad Brook, Danbury, Fairfield, Hartford, Manchester, New Canaan, New Haven, Norwich, Stamford, Thompson, Trumbull, Waterbury, West Haven, Wethersfield, and Willimantic. Since July of 2014, WinnDevelopment has overseen the completion of more than 415 occupied rehab projects in three states, with total development costs of more than $85.6 million. Currently, the company has more than 1,478 units under construction in six states at a cost of nearly $229 million, with an additional 202 units set to begin construction through the end of the year.